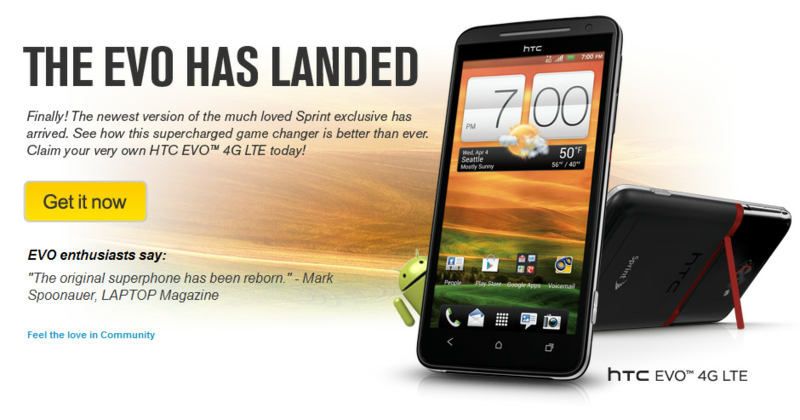 Just as expected, HTC's Evo 4G LTE has finally landed at Sprint, both online and in stores. After the latest Evo's extended stay at US Customs, the device has arrived just in time for release, perfectly timed for early celebration of the original Evo 4G's release a mere two years ago. Whether you're a veteran of the Sprint's Evo line, or just want to upgrade to a slick, powerful device, the Evo 4G LTE is a great option. Those signing on for a new 2-year agreement (or opting for an eligible upgrade) can lay claim to the new Evo for $199.99. To get yours, just hit the source link belo or head to your nearest Sprint store or Best Buy location.